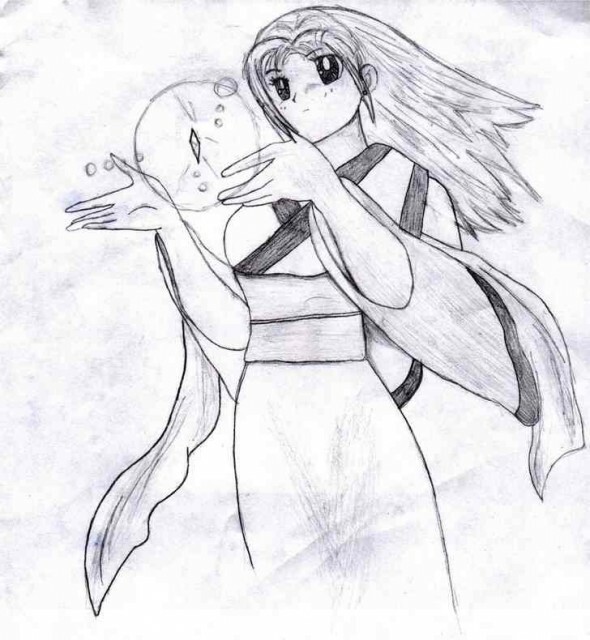 This is a drawing I did of my character for an Inuyasha rp (role play). Her name is Kiyomi and she's a demon slayer (youkai taijiya) who is posessed by a shard of the Shikon no Tama, which is located in her heart. In this picture, she's free from it and holding it in her hands, ready to fight. You've really done well with it. Seriously hun, you're very talented from all the artwork I've seen from you. I hope you'll post more! very nice job bri, yet another great drawing, i like everything XD.